While most well-meaning consumers intend to recycle their home steel products, it wouldn’t be possible without the tens of thousands of curbside and drop-off locations across the nation. Knox County Recycling Center in Mount Vernon, OH has been in operation for over ten years accepting steel food and beverage cans, aerosol cans, scrap steel and several other types of materials. While there are curbside programs in the area to compliment the convenience of this facility, the Knox drop-off location remains active as ever. Steel products are a staple of any recycling program and Knox County Recycling Coordinator Linda Montgomery says it’s because of how easy the process is. 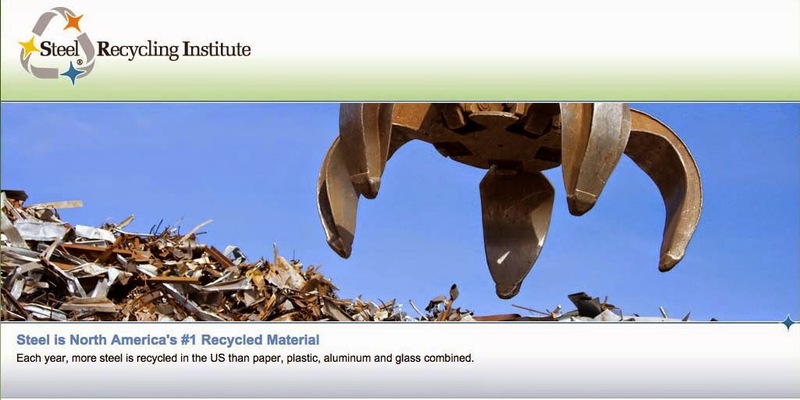 According to the Steel Recycling National Recycling Database there are currently over 7,700 curbside programs across the United States which provide recycling to over 164 million citizens while there are almost 13,000 drop-off locations. Both of these recycling options are vital to keeping steel as North America’s #1 most recycled material and Linda acknowledges that. She does, however, see an advantage in drop-off locations. She went on and also stated how curbside programs require the route to be run twice – once for garbage and trash and again for recyclables, which ties up manpower and equipment. The convenience of 24 hour drop-off availability goes hand-in-hand with the simplicity of curbside pickup. 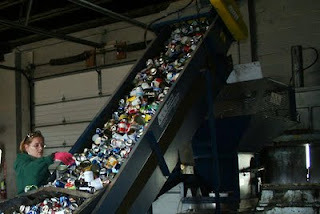 Luckily most Americans don’t have to choose and can utilize both options for their steel recycling needs.